What is Science? Searching for the meaning of science yields numerous terms but science is so much more than the sum of definitions. Defining science is only the beginning. Next we must answer the question: Why is science important? In 2009, Alom Shaha, a science teacher, writer and film-maker, determined to answer this question. Alom is like educators around the world whose students ask: What’s the point of this? – which is another way to ask about the significance of science. Alom solicited responses to this question because his evident passion for science was not enough to convince his students that understanding science was more important than passing a test. It is critical for the survival of our species. As humans, we have a moral and ethical responsibility to identify and to produce clean energy. Our democracy depends on it. Understanding science gives the citizens and elected officials the tools needed to make rational, practical and informed decisions about how to solve the problems we face. 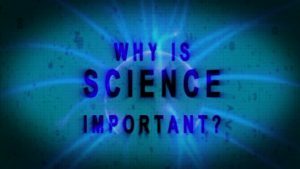 Why is science important? Watch this video to learn why science is life. Exactly science lets us make the rational decision which without it would have been pretty demanding. Science is everywhere around us and without it, of course, this earth would not have been worth living.